New York does a lot of things beyond right (Uh, HULLO, Sabrett hot dog cart outside the Museum of Natural History, where had you BEEN all my life, ammiright??) However, there is one thing New York just seriously does not get. And believe me, ever the optimist, I tried about 857,456 different Mexican restaurants while living there, and they just. weren't. good. Sure, every now and then you'd get a great guac (Caliente Cab Company), or a snazzy marg (Cilantro), but the overall package? Niente. Aaaanyway, my point. The Mexican food here is OUTRAGEOUS. There's a different Mexican restaurant on every corner, and odds are, each one is going to be ri-donk. Because there are so many, and because I'm going to them on an average of 17 times a week, I think it's only appropriate to do a Taco Tuesday segment here on the schblogster. 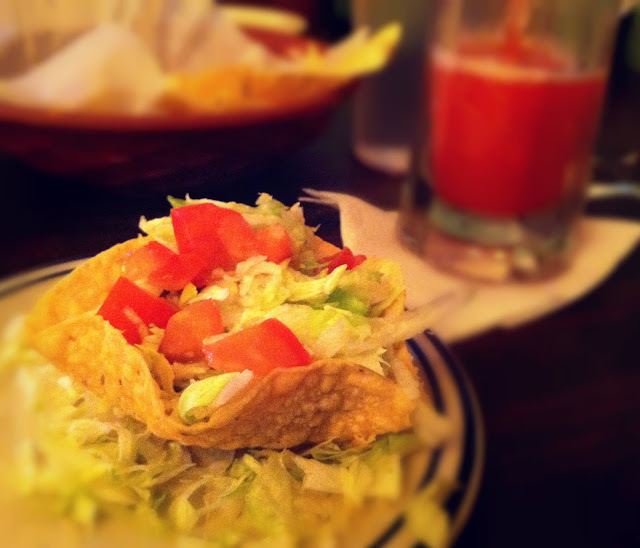 So without further adieu, the first installment of my Taco Tuesday series! El Gallo. EL. GALL. O. I fah-hreaking love this place. 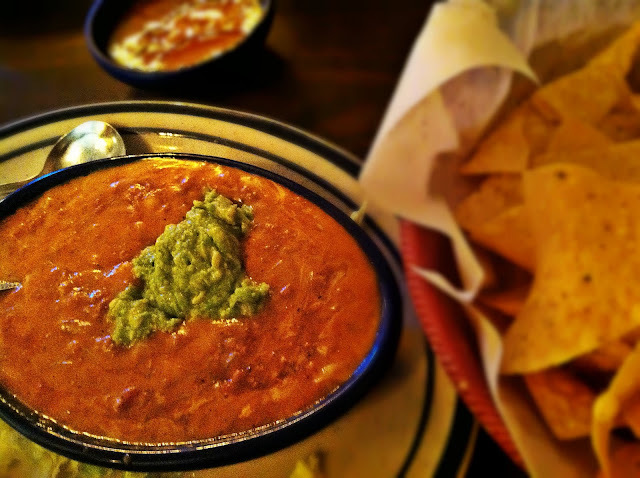 If you go (and you really should), you have to get the "El Gallo Dip" to start. It's so good that when you try it you won't remember anything that happened in your life before that moment. The menu describes it as a "blend of spicy taco meat, onions, Tex-Mex gravy, and cheese." Your guess is as good as mine as to what "Tex-Mex gravy" entails, but throw caution to the wind because it's amazing! And it has guacamole on top, which is just the tip of the iceberg. As I'm not crazy about their salsa (but the bf is, so good, more El Gallo dip for me), I definitely recommend this as a starter. Dip your fingers -- uhh, chips! I meant chips! -- in and enjoy! On this particular visit, I ordered for my entree the "El Gallo Combination B," substituting a beef taco for the chili con queso. What this meal consisted of was one cheese enchilada, one tamale, one beef crunchy taco, rice, and beans. I also asked for chopped onions on top of the enchilada (an old trick I learned from the bf). So much food, and SO MUCH AWESOMENESS. I LOVED the tamale and the enchilada. The rice and beans were also very good. If there was one thing I wasn't absolutely crazy about, it was the taco. Compared to the rich, flavorful other items, the taco didn't really stack up. In the taco's defense though, it would have probably received rave reviews from me had I eaten it in NYC. I'm also a firm believer that the best taco is a homemade taco. Regardless, all I had to do was pour on some of the Magical El Gallo Dip, and all was right once again in the world. Pictured from left to right: rice, enchilada, tamale, and beans. Heaven on a plate. 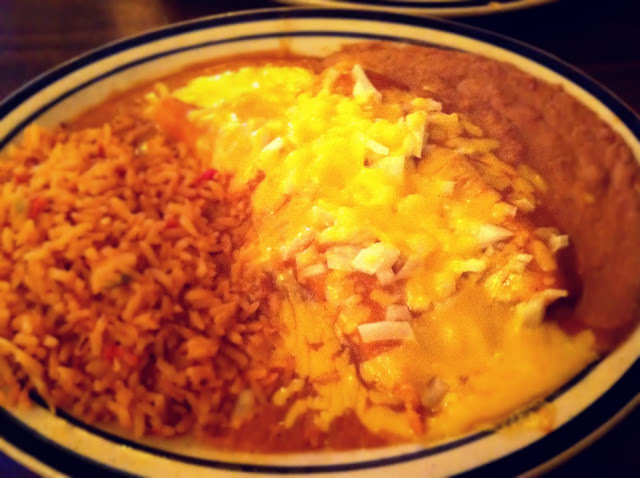 But seriously, I just caught myself salivating while looking at the picture of that enchilada. Oh, and who could forget! The margarita, AAAHV course! It's funny, because I always say I'm not a "margarita person" (what does that even mean. ), and yet I always get them and enjoy them. I think it's that I'm not a plain margarita person. They are a little too tart for my taste. So bring on the flavahs! 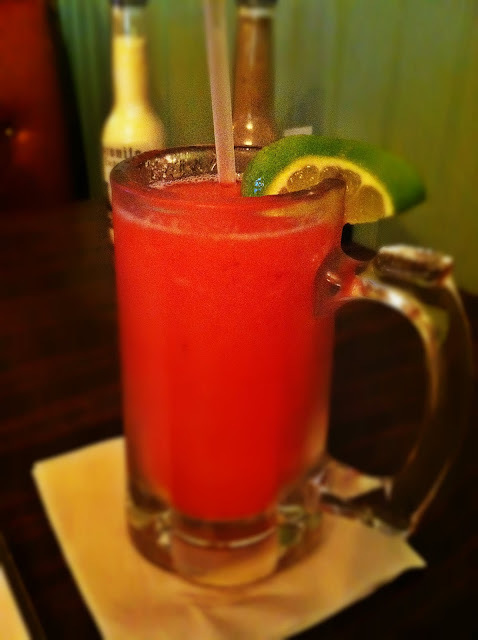 Tonight's featured Kim-friendly flavor was a strawberry marg. It was pretty darn good. Sweet, not too tart, and I think it may have been fresh because I saw some strawberry seeds in there. Brava. And one other thing of note. One of the guys who works there is a HOOT. I've seen him every time I've been there, and he has the driest, most amazing sense of humor this side of the Pecos. He makes the whole experience all the more delightful, and hilarious. Like, if Saturday Night Live really wants to save itself right now, they need to put some serious consideration into hiring that guy. I don't know his name, but it is my mission to find out and report back to you. It's probably something like Sylvester. He seems like a Sylvester. Another added bonus? It's a total hole-in-the-wall, as a Mexican restaurant should be. That's how you know it's good Mexican food. (It's the law). 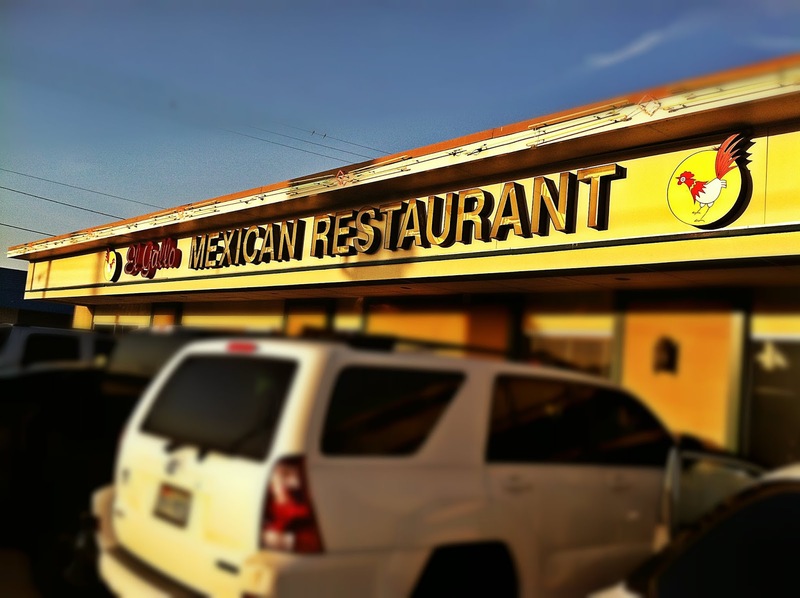 I would take a hole-in-the-wall Mexican place over Pappasito's or Cyclone Anaya's any day. Sacrilege? Probably. El Gallo is located on Gessner and Hammerly across the street from the high school. 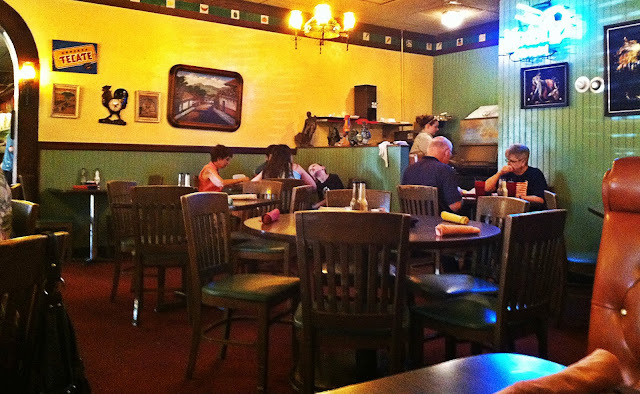 If you go, you'll find me in the corner having an intimate rendezvous with the El Gallo dip. Ahaha you are too funny. I am loving all of your posts. I will have to try this place out as I still haven't found a Mexican place I truly click with in Houston yet! I just read your El Real review and I agree--it wasn't stand out. Although...would this place be pescaterian-friendly? So many really good Mexican places are all about the meat. Have you heard of Bodegas? I have a strange soft spot for that place, even though it's definitely not like, blow your mind. I just love their different salsas!! P.S. The Pancake Princess is HI-Larious!